This short feature (80 mins) sees the Japanese auteur of ‘cyberpunk cinema’, Tsukamoto Shin’ya, exploring what he can do with the chanbara or swordfight film. This follows on from his previous film, Fires on the Plain (2014), a remake of Ichikawa Kon’s classic anti-war film from 1959. There is certainly a possible connection between this new film and its predecessor. The film opens with the forging of a katana, the classic samurai sword, shown in close-up. We then meet the central character, a young ronin or ‘masterless samurai’, Mokunoshin (Itematsu Sosuke). He appears to be working for a farmer in his rice paddy and in his free moments sparring with the farmer’s adolescent son, with both using wooden staffs rather than swords. They are being watched by the boy’s sister Yu (Aoi Yu) when a pair of older samurai enter the village, engaged in some kind of duel. The victorious samurai is Sawamura (played by the director himself). 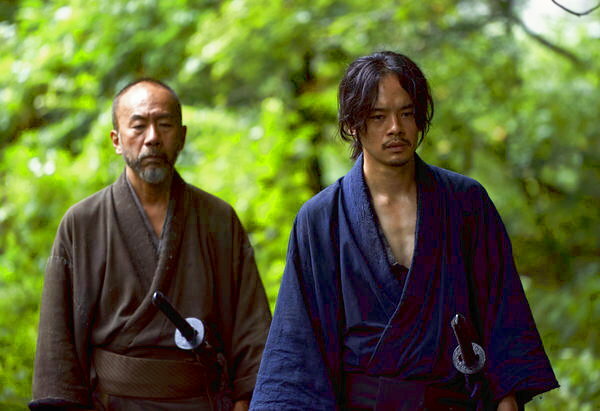 Tsukamoto often appears in his own films but although I recognised him it wasn’t until later that I realised that he played a secondary role in Martin Scorsese’s remake of The Silence (US-Mexico-Japan 2016). In the first section of the film I found myself wondering when the film was meant to be set. As far as I could see there were no markers of the era and no dialogue exchanges that suggested when. Kurosawa Akira’s jidaigeki or ‘period films’ included some, like Seven Samurai (1954) set in the late 16th century or early 17th century, but most of the ‘samurai films’, as they are known in the West were far more conventional and formulaic and tended to be set in the latter days of the 250 year Tokugawa shogunate, the so-called Edo period. All the reviews of Killing from Venice and Toronto suggest that it is indeed an early 19th century setting. Presumably this info was in the Press Notes. The Glasgow programme suggests that Tsukamoto was ‘inspired by Kurosawa’. Hmm! Sawamura tells Mokunoshin that he is on his way to Edo and that he is trying to recruit samurai to fight for the Shogun against rebels in Kyoto. He offers the young samurai the chance to join him and Mokunoshin agrees. The farmer’s son also wants to join and Sawamura agrees to take him as a reserve, convinced by watching the sparring between the two young men. The second ‘inciting incident’ is the arrival on the edge of the village of a group of bandits. This heavily-armed and gruesome-looking group are probably not samurai but rather ruffians with plenty of experience of fighting. Do we anticipate a battle with three against many? 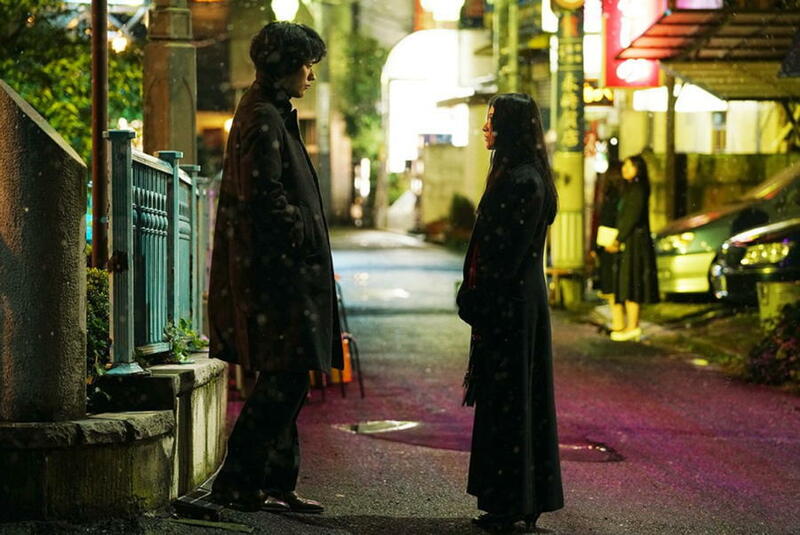 I won’t spoil the narrative as the film looks set for a UK release via Third Window Films, but what underpins the final section is a philosophical question posed by Sawamura and aimed at Mokunoshin. A samurai sword is intended for killing. Can a man really be a samurai if he has not used his sword to kill? Mokunoshin is a young man beset by several problems, questions of honour and gratitude towards the farmer’s family, the raging hormones of a young man living close to an attractive woman and strong feelings about how to fight. The action in the last section of the film is shot in almost expressionistic style with flashing blades, hand-held photography and the action itself something of a blur. A set piece fight under a natural bridge on a muddy path is contrasted with a chase up a hillside in the long grass and bracken and beneath the trees (the vivid greens of the forest clearings and paddy fields define the background while the samurai are presented in more mute colours). The film screened at both Venice and Toronto last year. It seemed to please critics but some raised questions about whether it would please fans of the director or fans of the genre. It’s a low-budget film made quickly but with verve and a music soundtrack by Ishikawa Chu (his last film before he died). I enjoyed the film and it’s good that there can still be new takes on the chanbara. I think I still prefer Kurosawa and the other filmmakers of the 1950s and 1960s. Tsukamoto is reported as saying his inspiration was partly Ichikawa Kon’s 1973 film The Wanderers, a film I saw on its release in the UK back in 1973. Perhaps I’ll try to find it and watch it again. I’ve been laid low with a virus for a week and that seemed to be a perfect time to watch a five hour-plus film. Streamed on MUBI, I watched it in two parts and can seriously recommend it if you have five hours to spare. Director, and co-writer, Hamaguchi Ryûsuke takes his time laying out the lives and . . . well, not ‘loves’ because the four thirty-something friends are all faced with stupid men. If I’d thought about it at the time, the idea that the child I’d been bringing up for the past six years was not actually ‘mine’ would have been a ‘worst nightmare’. That’s the premise of Kore-eda’s quite brilliant Like Father, Like Son. Add to that the theme of alienation caused by corporate culture, and you have a film that’s not only intellectually fascinating but grips the viewer as the consequences unfold. The actors are brilliant, especially the children who Kore-eda has no peers in directing. 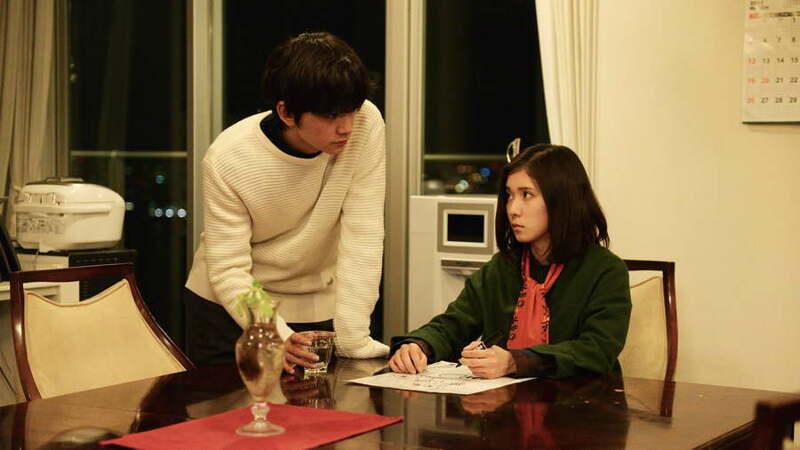 The child playing Ryoto’s son, Ninomiya Keita, seems have preternaturally black eyes, which give him an alien presence perfectly in keeping with his position in the family. Japanese culture seems to be so buttoned up that it makes the British seem to be as extravert as a Latin stereotype. However, the undercurrent of emotions that Kore-eda reveals in his films are, of course, as deeply human as any nation. His films unearth the psychological damage such a repressed culture can cause. 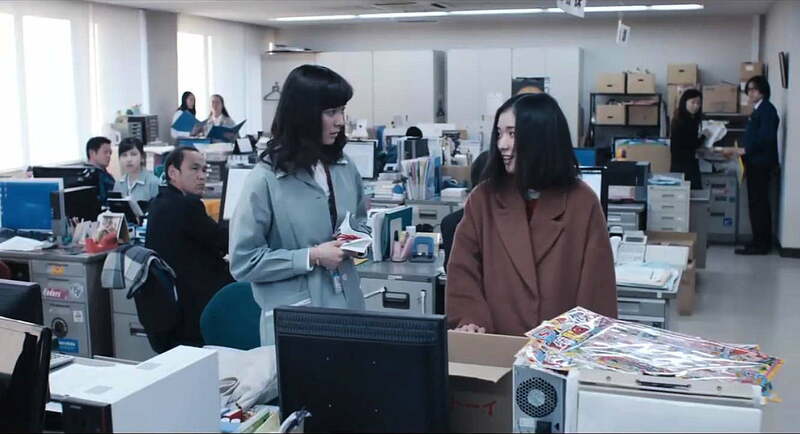 Our Little Sister, the first Kore-eda film I watched, differs from the others as it bathes the viewer in the warmth of a matriarchal family that has little conflict. Shoplifters, too, focuses on a loving family but in the wider context of poverty and uncaring officialdom.